Ford has a page up for their 2019 Ranger. Not a ton of information, but you can sign up for updates. There was talk that Ford dropped the Ranger because it was getting larger and larger and starting to get to close to the F150. 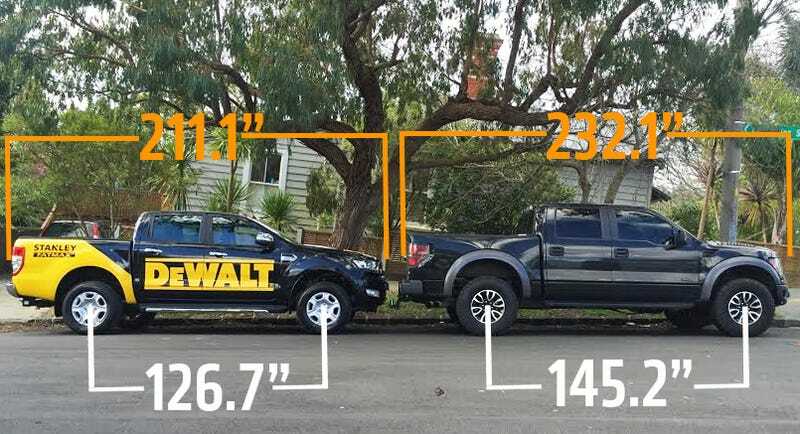 I'm not sure if that's the case or not but here's an interesting comparison photo between the Ford Ranger they still sell in other parts of the world and the an F150 Raptor. Just saw a current generation Ranger for the first time here in Oklahoma City. Couldn't see the plate but assuming it was a Mexico truck. Nonetheless, loved the look and size and now all the more eager for this truck to hit the market.